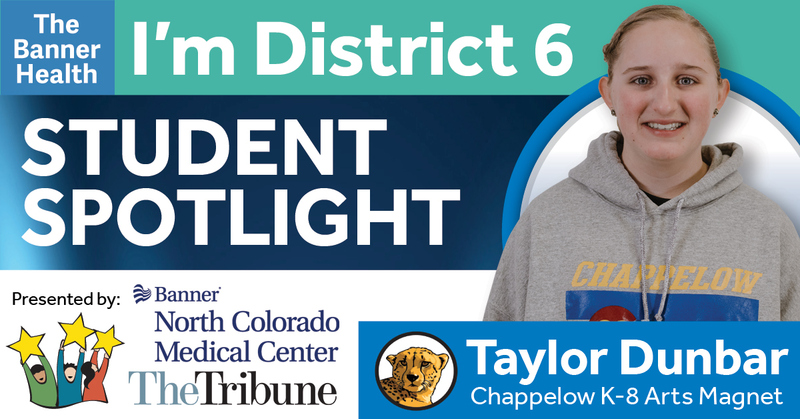 Congratulations to our Student Spotlight Taylor Dunbar from Chappelow Arts Magnet School! Taylor is an 8th grader in the Gifted and Talented Program at the K-8 school, and has aspirations to become an author or Interior Designer. She will be at Greeley West next year to join the IB program, and will graduate high school with her associates degree. Keep up the wonderful work, Taylor!